Steganography is the art and science of communicating which hides the existence of the communication. Steganographic technologies are an important part of the future of Internet security and privacy on open systems such as the Internet. This book focus is on a relatively new field of study in Steganography and it takes a look at this technology by introducing the readers various concepts of Steganography and Steganalysis. 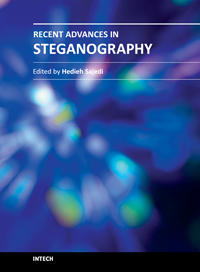 The book has a brief history of steganography and it surveys steganalysis methods considering their modeling techniques. Some new steganography techniques for hiding secret data in images are presented. Furthermore, steganography in speeches is reviewed, and a new approach for hiding data in speeches is introduced.